was a former curate of Bath Abbey and later of Englishcombe, near Bath, and thence Vicar of Weston, Bath, until his retirement to Tiverton in Devon. He was one of the founders of the City of Bath Heraldic Society in 1948 and served as its first Chairman, until 1972. 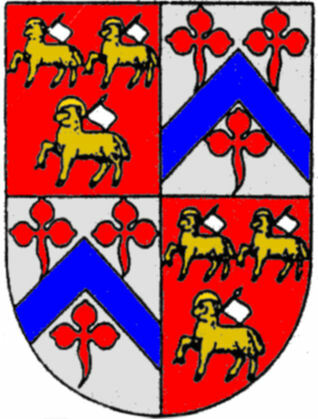 His arms were: Quarterly, 1st and 4th: Gules three Paschal lambs or staffs and banners argent; 2nd and 3rd: Argent a chevron azure between three trefoils slipped gules.